I thank my maternal gr﻿andmother for the gifts I have in my hands. Even though I have few memories of her, I clearly remember the touch of her hands upon my shoulders when I sat on the floor by her feet. I doubt she even realized she was massaging me! It's just what she did, naturally. 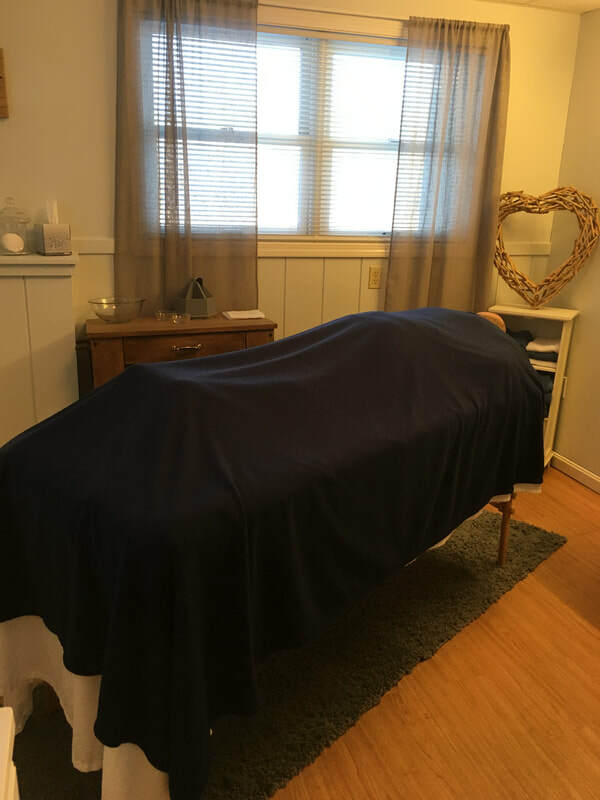 When I decided to choose a career that reflects who I am and allows me to do what I love, I knew mastering therapeutic massage was what I needed to do. I have learned to apply my natural talent to the body in a very thoughtful way. Skilled hands know what type of touch the body needs to either relax or to help to relieve pain or discomfort. Private Office: In Farmington & Hebron, CT, see the Contact Link for directions. I am grateful for the warming & healing spaces I have to offer to my clients. On-Site: At the work place. These massages tend to be 10-15 minutes and are generally set up via the employer. Work place massage benefits everyone! Not only can massage address the aches and discomfort of sitting for too long, using the keyboard for hours and/or performing physical tasks over and over again, it allows a mental break from our work. This type of break revitalizes us. When we are happier and more productive at work, everyone benefits! Infant Massage sessions: Sessions run once a week for five weeks. Infants and their parents experience the miraculous benefits of massage as well as learn about how touch and positive communication between the parents and their infants promotes the infants' health, wellness and growth. Please see the Infant Massage link.